Yummy Scrummy Raw Chocolate Brownie // Elements For Life: Award winning brownie which contains goji berries. Original Nutter Bar // Hangry Food Co: Hand rolled nutty bar that’s cold pressed for great taste and texture. Pear Crisps // Spare Fruit: Made from delicious rescued conference pears, these pack real crunch followed by an amazing natural caramelised taste sensation. Cacao, Chia and Blueberry Raw Bliss Balls // The Bondi Kitchen: Perfect high energy snack made from nutrient rich nuts, seeds, dried fruits and superfoods. 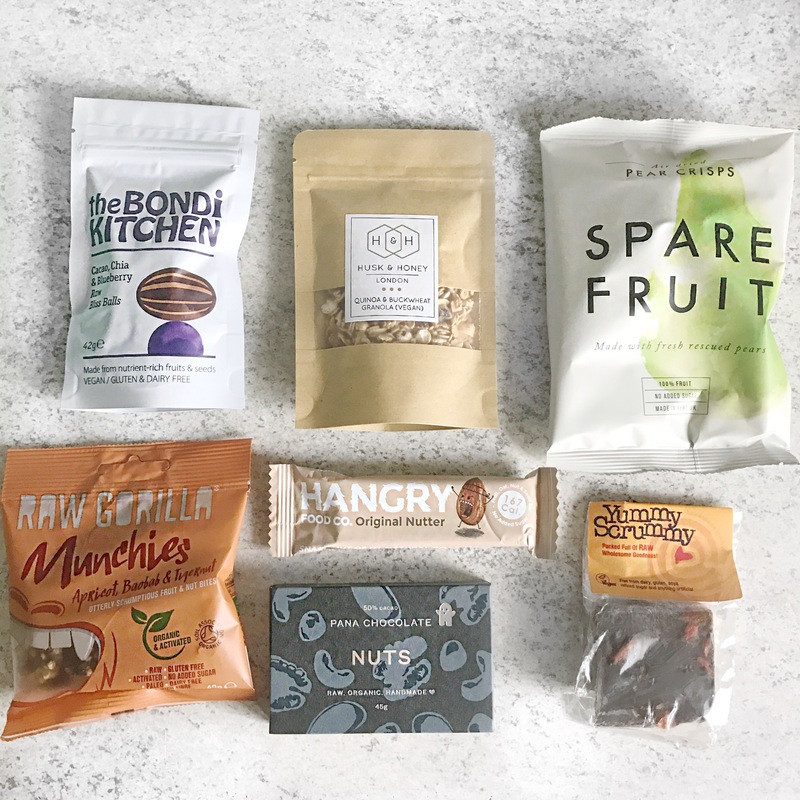 Apricot, Baobab and Tigernut Munchies // Raw Gorilla: These munchies contain sprouted seeds, superfoods ad dried fruits, perfect for on the go snacking. Quinoa and Buckwheat Granola // Husk and Honey: This taste granola is wonderfully crunch and sweet without any nasties. Nuts Bar // Pana Chocolate: Beautifully smooth chocolate and velvety with a satisfying crunch from the nuts. 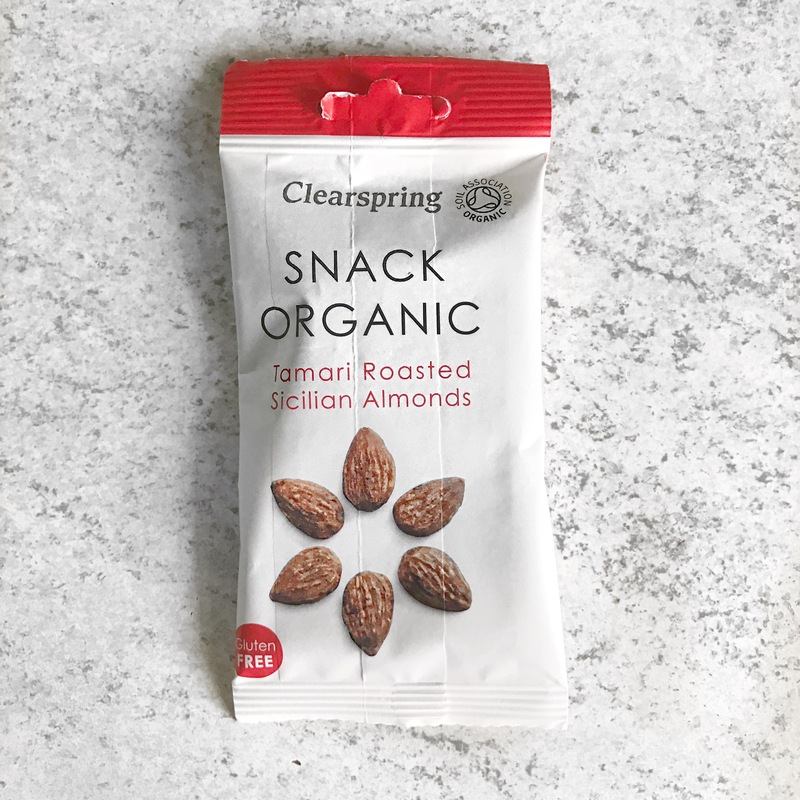 Tamari Roasted Almonds // ClearSpring: Rich in high quality proteins, made from Sicilian organic almonds gently roasted with Japanese organic tamari. 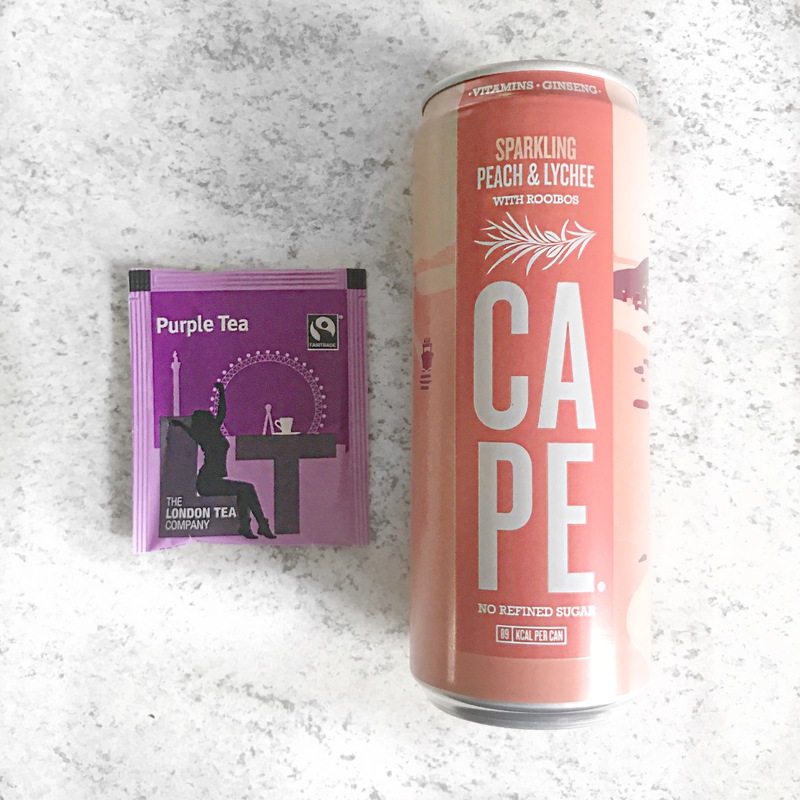 Peach and Lychee Drink // Cape Drinks: Natural sparkling fruit juice, bursting with a fruity and refreshing flavour. There quite a few brands popping up in this box that have featured in previous boxes e.g. Pana Chocolate, Spare Fruit and the Hangry Food Co, all of which have not failed to disappoint in the past. I’m also rather happy that there’s a lot of sweet products these month, I have the world’s worst sweet tooth, so I’m sure everything will be devoured rather quickly! What are your favourite healthy snacks? Comment below, I’d be interested to know!